Pyrostrip 100PSS is a high performance fire seal incorporating Palusol, a hydrated sodium silicate intumescent in a purpose-designed upvc sleeve. 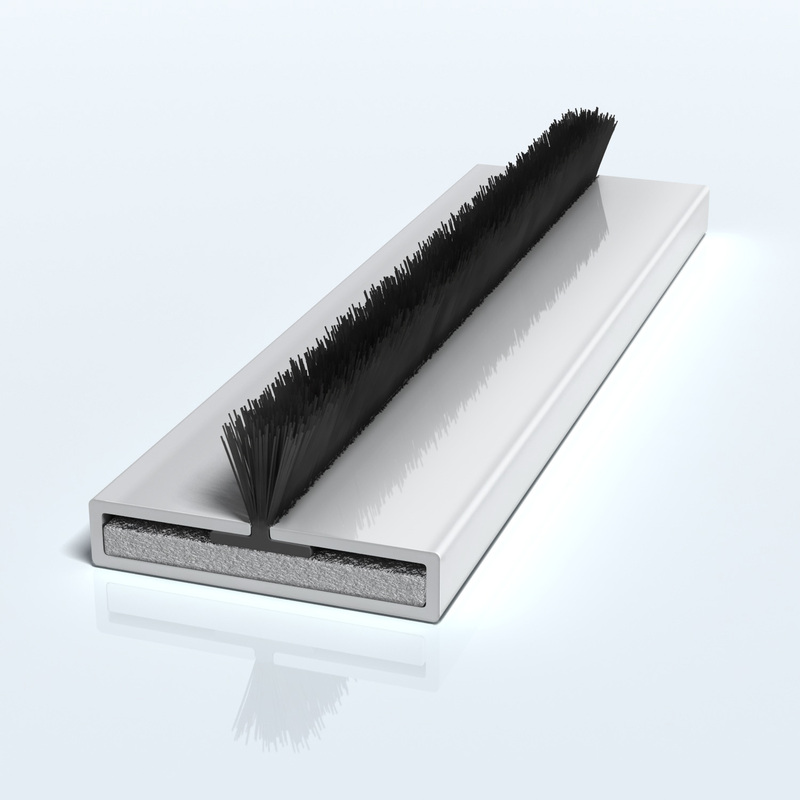 Pyrostrip 100PSS features a brush pile smoke seal up to 10mm – and is primarily intended for installation in fire doors of flush, panelled and glazed construction. Pyrostrip 100PSS can be supplied in the following sizes, colours and finishes. Non-standard sizes can be manufactured to order, please contact our Sales Office. 1000mm , 1050mm, 2050mm, 2100mm. Non standard lengths can be produced. Please contact our Sales Office. White, Light Brown, Dark Brown, Light Grey, Slate Grey, Black, Cream, Red. A wide range of non standard colours can be produced. Please contact our Sales Office. Available as a grey brush pile with pile depths of either 5mm, 7mm or 10mm. Available as a black brush pile with pile depths of either 5mm, 7mm or 10mm.